VR is a largely visual experience but a recently-released app for Samsung Gear VR (reviewed here) tries to show viewers what it’s like to be blind. 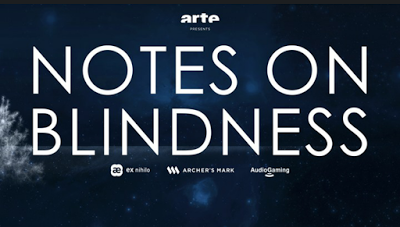 Called Notes on Blindness, it is narrated by John Hull, a writer and theologian who gradually became totally blind. 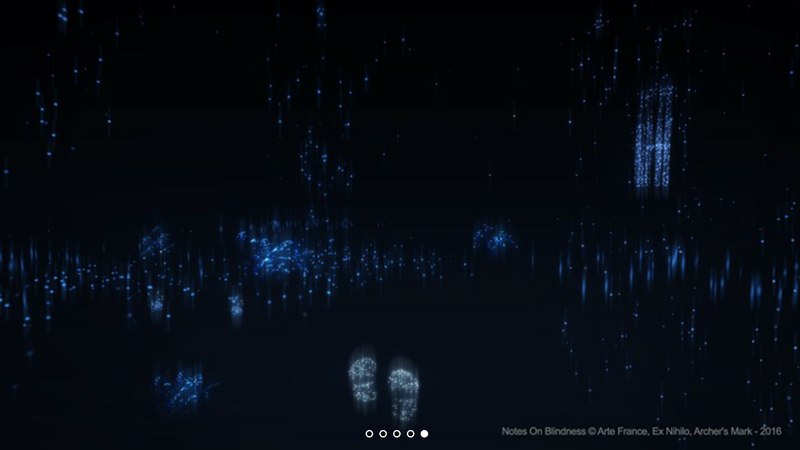 As John loses his vision, he reflects thoughtfully on the experience of what it’s like to be blind and how he perceives the world with his new condition. 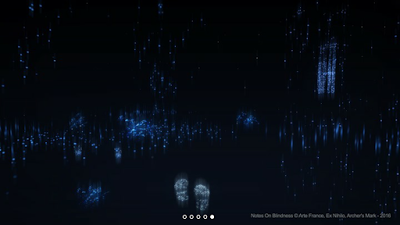 Viewers see a VR representation of John’s experiences as he narrates them. 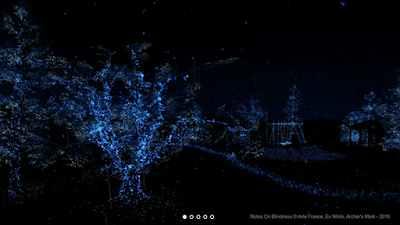 The images are computer-generated in realtime. As you would expect, the audio plays a very important role, and the sound quality is amazing, especially on a headset. Thunder, for example, sounds incredibly realistic. 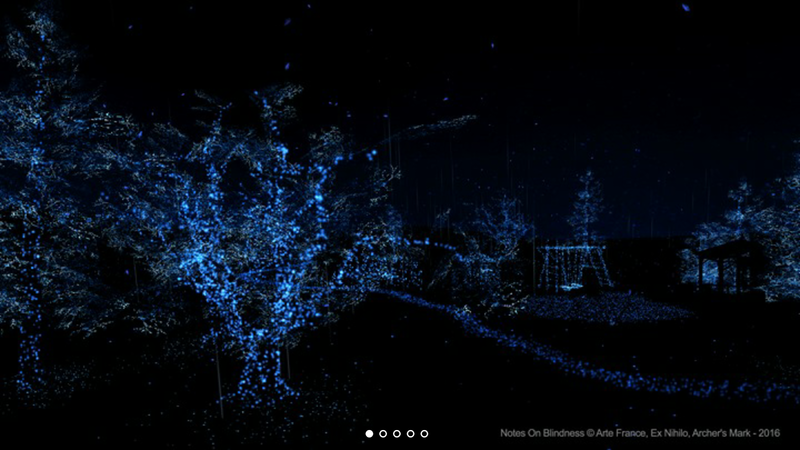 Some scenes of Notes on Blindness are also interactive and use the Gear VR’s controls. 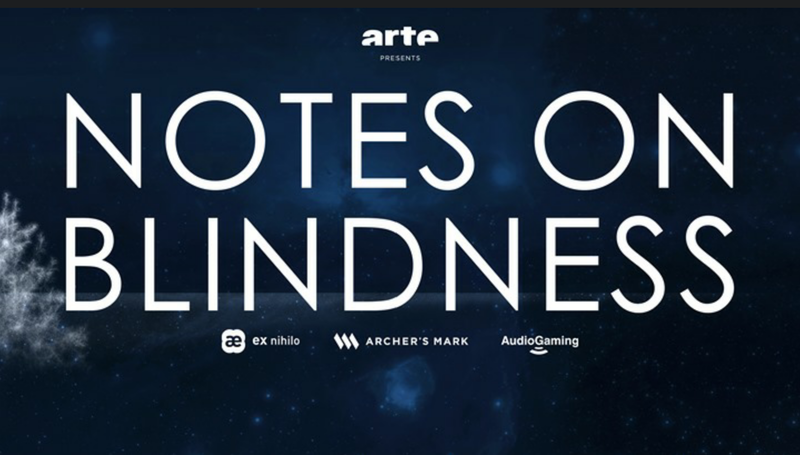 Notes on Blindness is a thought-provoking VR experience that showcases the power of VR as a medium for building empathy.